The ENERGY STAR New Homes program deserves much of the credit for bringing high performance to the mass market. Aside from a widely recognized and respected brand, ENERGY STAR accomplished that which previously eluded industry pioneers: it created a uniform verification and certification procedure that could be replicated on a mass scale at a reasonable cost. Other certification programs are also enjoying success. California, Oregon and Washington have developed regional variations of ENERGY STAR. A number of regional energy efficiency and green building programs have been adopted by counties, municipalities and non-governmental organizations. Progress on this scale couldn’t happen without collaboration between builders and home performance professionals. By participating in a verification and certification program, the builder gains a knowledgeable partner – an expert who can assist with design and construction details, and work on the front lines to help retrain key trades – especially framers, insulators and HVAC contractors. However, for all the training and experience in envelope design, advanced framing and whole-house diagnostics, the home performance industry is largely unprepared to provide HVAC guidance. This is incredibly ironic considering that HVAC is by far the largest energy user in the home. When it comes to high performance homes, HVAC is the elephant in the room. To understand how this happened, one need only consider the origins of the energy conservation movement. Many industry pioneers came out of the utility and government funded weatherization programs of the late 1970’s and early 1980’s. Others cut their teeth on solar water heaters, energized by the 1978 federal tax credit. And then there were the generalists, deeply rooted in self sufficiency and ecology. For the most part, HVAC expertise was nowhere to be found. Early conservation efforts targeted windows and insulation. Rightly so. At the time, many homes still had leaky single-pane windows and little or no insulation. Although heating and cooling energy use benefited from shell improvements, little attention was given to the HVAC system itself. That changed in 1992 with the introduction of federal efficiency standards for furnaces, boilers, and air conditioners. This emphasis on source equipment (‘box’) efficiency ignores the even larger impact of poor design and installation practice. Indeed, as the building envelope and source equipment have become more efficient, HVAC design and installation quality remains mired in mediocrity, now becoming the Achilles Heel of home performance. Field studies have consistently shown that design and installation issues have a far greater impact on overall system efficiency than source equipment ratings. SEER, AFUE and HSPF are theoretical ratings based on standard operating conditions. The efficiencies signified by these ratings can only be approached when equipment is sized correctly and delivery system losses are ignored. The HVAC trade has struggled with this issue for years. Market pressures tend to drive down technician skill levels to the lowest common denominator, and penalize contractors who aspire to do things right. There’s little incentive to do better when the market doesn’t place value on careful design and quality workmanship. And building inspectors have their hands full holding up the rear. The solution must begin with an educated builder. Through this strategy, home performance professionals are beginning to transform other key trades such as framing and insulation. But with virtually no training in duct design or equipment sizing and selection, most home performance practitioners are ill-prepared to take on HVAC, the most technically demanding of all trades. Today, the home performance industry is beginning to pay more attention to the HVAC system. In 2006, Energy Star took a baby step forward by requiring duct testing. However, ENERGY STAR Version 3 (2012) went much further, adding two new HVAC checklists. Some say it goes too far — there's been a lot of pushback from builders and mechanical contractors on all the new HVAC requirements. Funny how quickly folks object when they're only being asked to do what has been recommended practice for decades. 1. In California, utility stakeholders recently identified the lack of adequately trained energy professionals and HVAC contractors as a serious impediment to achieving the state’s energy efficiency goals (California Energy Commission Decision 07-10-032, Section 5.2). David Butler is an HVAC designer and a most excellent moderator of the RESNET BPI group on LinkedIn. His company is called Optimal Building Systems and does amazing work. This article is an excerpt from a paper he wrote in 2009, titled The Elephant in the Room—HVAC for High Performance Homes (pdf). He has written several other guest posts here in the Energy Vanguard Blog, which you can read by clicking the links below. I recently visited David at his home in Sierra Vista, Arizona and wrote an article about building science learning curves based on our discussions. What Exactly is Manual S in HVAC Design and Why Is It Important? Photo of elephant in the room by David Blackwell from flickr.com, used under a Creative Commons license. A simple solution is to limit the wattage of the system in relation to the location, age, and sqft of the house. HVAC contractors use conventional design with high SEER equipment or with smaller equipment installed right. I went from a 3ton in my 14yr old 1600sqft home to a 2ton, most of my coworkers thought I was nuts. Last summer they couldn't believe it when my 2ton could keep it 75 indoors on a 100 degree day. My electric bills are about 1/3 cheaper than most with similar sized homes. If my house would have been built with ductwork in conditioned space (bought house used, had no choice on ductwork location) I could have done a 1.5 ton. You probably rightly attribute progress in improving building performance to the development of “a uniform verification and certification procedure that could be replicated on a mass scale at a reasonable cost”. HVAC system performance diagnostic should be simple enough, easy enough, and fast enough that it can be accomplished on every service call, and not just the day the equipment is installed. Even if HVAC equipment is properly installed, performance issues can and do arise at any time. System performance diagnostics isn’t something that should be confined to the day systems are installed. System performance diagnostics is something that should be “replicated on a mass scale at a reasonable cost.” That’s why we developed Total Performance Diagnostics. In the real world, HVAC system performance is constantly changing and the equipment manufacturers detailed cooling performance charts and fan tables are not available. HVAC technicians haven’t lacked training; they’ve lacked the necessary tools. System performance is a complicated science in a test chamber … it’s a near impossible task in the field. Add to all this, the need to communicate system performance findings to the average homeowner … in words, terms, and a format that they can understand … and you can begin to sympathize with the average HVAC technician in the field. There does exist “a uniform verification and certification procedure that could be replicated on a mass scale at a reasonable cost,” it’s called Total Performance Diagnostics. Give it a try. There is a very small club of guys working for the HVAC Manufacturers who call on production builders, and we don’t like to talk much about the things we had to do to get the business. Anyone who has ever called on a production builder knows they are all about one thing when it comes to HVAC, price. Hell, we fight over 60 cents a system when quoting 10,000 systems at a time. Every model gets the same unit and same sht duct system regardless of the orientation so the homebuyers don't complain their house had a smaller AC than the guy next door. Any upgrade money the homebuyer might have was/is directed to fancy counter tops, lights, or the Hot tub. After being on a team of folks that called on the to 25 production builders from 2003 to 2006 I was ready to throw them all off bridges with cement shoes. Before you lay this at the feet of us HVAC guys, please go in and try to sell High Efficiency systems to a builder doing more than 10,000 houses a year and see how well you do, I would love to watch and learn how this is done. Meanwhile, there are at least 50 million bad houses out there now, we build another 1 million bad houses each year, HPwES did 60,000 houses last year, so how long will it take us at this rate to solve the problem? I will add to the issues stated above, the fact that HVAC manufacturers are not in a hurry to design smaller and cost effective equipment for high performing homes. When homes are designed to have really low heating and cooling loads, then it becomes and issue if those homes are less than 2500 sf. Since AC units start at 2tons and furnaces start at 40kbthu. Sure, one can go to mini-split heat pumps, which are ugly and intrusive, and cost is exorbitant. There are a lot of good HVAC contractors out there, who understand system design and installation and it's integration of the home as a system. Some of these companies were on the forefront of this over 15 years ago, and many more are joining their ranks every day. Companies affiliated with Comfort Institute, Green Homes America and other training and support organizations are already integrated into the Home Performance industry, and are ready and qualified to design and install systems in even the highest performance homes. Organizations like ACCA have written standards to guide these contractors, and anyone else who cares to use them. They continue to work on guides to assist with new developments, including high performance homes (which have a unique set of challenges with low loads, and increased ventilation needs). In fact, hundreds of ACCA members already belong to ACCA's Building Performance Council, while more and more are joining. Hundreds of them attended ACCA's first Building Performance conference last year, and will attend again this October. Even manufacturers are getting a clue. Carrier has team up with Comfort Institute to provide training and education to their dealers, and is making it easy and affordable for them to do so. I don't want to be hypocritical, and paint with too broad of a brush, because there are good builders out there, just like there are good HVAC contractors. But I think David hit the nail on the head when he discussed the need to educate builders. They need to learn a new way to do business, and the market needs to support those efforts. That is hard enough to do when consumers demand their dream homes at the lowest prices possible, but new codes (like in Washington State where we live and work) and programs like Energy Star will help. The HVAC contractors these builders need are out there, but they need to understand that quality and performance come at a price, and builders and consumers both need to be willing to pay for it. Blogs like Allison's, Home Energy Pros, and even our little blog (http://www.belred.com/blog) all help to educate professionals and the public alike. The more we can do to educate the marketplace, the more demand there will be for better homes (the ones homeowners think they bought already), or to fix the bad homes that are out there. But I am tired of people out there singling out HVAC contractors. If you haven't worked with a good one, it is because you haven't looked hard enough for a good one, or been willing to pay for one. As one of many, I can tell you we are out there, and we'd love to help you. @Ernest: we can always use better tools (I spent several years in R&D; working on high-end hvac diagnostic tools). But tools can never replace competent (and motivated) practitioners. HVAC is a complex trade that requires a high skill level. Would better tools make a poor doctor better? @PJ: The market is largely to blame for this dysfunction. Contractors who endeavor to get it right are punished. This is because it's not easy for their customers (builders or homeowners) to find value in good design and installation practice. That's where 3rd party verifiers have a role to play. But the verifiers also need to know what they're doing. That was the point of the article. Since Allison excerpted this from a longer paper I presented at 2009 RESNET, I think it lost some of the context (full article linked in my bio, above). As for production builders, some will always define the bottom rung. Market reality sux. But those who strive to provide service (e.g., take punch lists seriously) know that doing a better job with HVAC can translate to a fatter bottom line. After all, it's well documented that HVAC-comfort-energy complaints typically make the top of the list in terms of call-back incidence. @Adam: you seem to be passionate about your work and I hope I have the opportunity to work with you some day. But in my day-to-day, I deal HVAC contractors across the country and statistically, it doesn't look good. That said, it's definitely getting better thanks to some of the efforts you mentioned. Some of my clients pay me to identify and vet prospective HVAC contractors, and there's "good guys" to be found in most markets. That said, it those of us who want to raise the bar didn't "single out" the HVAC contractors, things would never get better. That's part of the education process you advocate. It's not enough to just talk about what's right. I fully agree that hvac is the elephant in the room. I work with the homeowener after first educating them, the the builder...after educating them..then each trade after. rather than carry this to the next job...it starts over again with my next client. as there are no performance based contractors in my area...it is a hard job every time. each time the house envelope is tight, insulation is correct, window choices are good..the the fight to size the hvac system starts. that old 500 sq ft per ton still rules most contractors. rather than educating themselves, they battle with me, the energy rater about who it falls to to do the load calc. the homeowner gets tired of the battles and either sticks to correct sizing of equipment or pays more for variable speed or two speed equipment set at low speed so that the 5 ton system they paide extra for performs at 3 ton size. expensive way for homeowner, but hvac company sees it as win win. still selling largest single unit produced...plus upgrade to vs units. yes there are good contractors out there, but far and few between. but if thehomeowner choses another contractor..it starts over again. changes in codes in Louisiana haven't had much effect on oversizing. 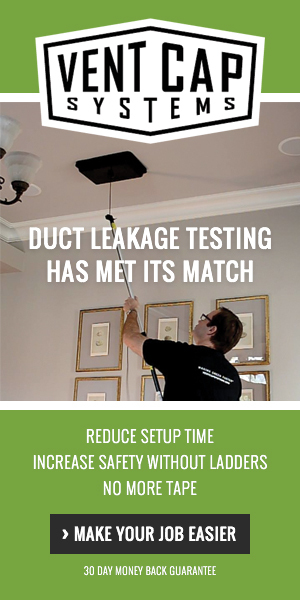 poorly designed ducts with high leakage rates are still too common. we continue to educate, but it is overwhelming at times. I keep holding on and hoping for the day that some better mind than mind can figure out a way to put feet to fire & get hvac contractors to have some sense of what they are doing. I certainly hope it is before I get too old to see it in effect!! great posting. go get em!! ADAM ... Yes, Yes, and YES again. Better tools do make poor doctors better ... and they can make good doctors great doctors. I have since taken time to read your entire article and it is a great article. Recommenced reading for anyone building a home or replacing an HVAC system. I still think we use a lot of antiquated tools and procedures and take way too long to diagnose HVAC system performance problems. The harder you make something the less likely it is to get done. Oh boy, this is a loaded one. There's definitely plenty of blame to go around. Energy Star has done a good job of marketing but a lousy job of building performance. Now they have this wonderful new 50/60 item checklist and a certification requirement expensive enough to discourage the smallest (usually the best) contractors and let the larger (usually not the best) contractors to pick up the work. The problem is that, unlike the first implementation of E-Star, we actually do have to test ducts now but they can still be sealed with tape! I guess it only matters if they're leaking the day we're there to test it. We're supposed to check the load calcs but we don't look at overhangs or duct locations. The first time they rolled out their "Right Sizing" we were supposed to check design temps but not windows! Sorry, this is just lame. It always has been. Energy Star has always been behind the building science learning curve and they continue to do things that make no sense. But they have transformed the market, and that's good. They created an accessible and identifiable product the people could point at. Which brings up the biggest problem (I think) with transforming the HVAC market the same way. There is no accessible and identifiable product. These systems are hand-built on site. The home owner is not in a position to choose unless they become an HVAC expert. The builders are only in a slightly better position. The best they can do is hire an experienced energy rater that really knows HVAC to provide 3rd party consulting, design, and verification services. It's an answer, but not the best answer. Until that changes it's too difficult for most homeowners to understanding what they're getting for the difference in prices. And if the homeowner can't tell the difference they're not going to want to pay for it. And if they're not going to pay for it the builder certainly won't. I love watching tuff guys walk into a Production Home builders' purchasing meeting telling me that "they are going to show that SOB how to offer his customers energy upgrades! ", walk out of the meeting with a barrel around themselves. @Ernest: My analogy "Would better tools make a poor doctor better?" admittedly wasn't a very good one. The point I was trying to make is that tools cannot replace knowledge and understanding. Tools are important for productivity, and I'm certainly not taking anything away from the role a good tool can play. But that's not what's holding back residential HVAC. The tool user must first understand the underlying concepts. I see this all the time with hvac designers who use MJ software and don't even own the book. I see poor design and installation practice as the "elephant in the room"... not something a diagnostic tool can address. @Skye: Great to hear from you, Skye, and great comment! For those who subscribe to Home Energy, check out the November 2006 issue. Skye and I submitted a joint letter on Energy Star's then new policy to have raters check load calcs. I think it must have been the longest letter (combined) Home Energy ever published (page 3-6)! @PJ: As I said, some production builders are going after a different market segment where call-backs and service aren't part of the deal. I hate to say it, but I have written off the bottom third of the market. The top third is already on board. It's the middle third that's worth the effort. Another thing to consider is time constraints and high workloads. Typically techs are running more calls than should even be possible and putting int 12-14 hr days during the summer. With that high of a workload, most are just trying to get the unit running again so they can go do the other 16 calls they have on their list that day. Fall comes and work slows down, nobody calls when it's nice outside. People only think about energy costs when they get a large utility bill. We, as the energy raters for our projects, do the load calculations for almost all of our projects. If we don't do them we verify that they are correct. I mean really verify it, which leads to mini-wars, which is why we do almost all of them. Our good houses are up to 1500 sq.ft./ton & sometimes higher in SouthEast North Carolina. If you are lucky you have an energy rater near you that really knows their HVAC stuff. That's who you need to seek out. Barring that, finding an HVAC contractor that will do truly correct load calcs for your homes would be great but it sounds like you aren't able to do that already. You can also get someone out of your area to do them. There are a bunch of people around the country that could help you without breaking the bank. Much better if you get someone local who is involved with the project though. To do loads right for your houses is especially tricky because of the thermal mass. The software doesn't model it correctly & the effect changes depending on what climate you're in. @Tom: in general, I don't recommend mechanical-hvac engineers for projects like yours. Few have much residential experience and even fewer know anything about designing for high performance homes. Most work almost exclusively in the commercial/institutional/industrial sector, where internal loads and outside air typically dominate the load. As Skye said, some energy raters now do load calcs. But unless they have serious mechanical design experience, anything beyond just a load calc may be specious at best. I've been doing mechanical design for high performance homes and nothing else for more than 6 years. I work on projects throughout the country (and some international). To Skye's point, I encourage clients to hire a local rater or auditor for on-site verification and inspections. I sometimes provide this service turn-key. Regardless of who you hire, there's great value in paying for a 3rd party mechanical specification. A good designer will ensure your homes get systems that are optimized for a particular site, climate and energy mix. Moreover, in most cases I find the best system costs significantly less than what most HVAC contractors will propose for a high performance home. As I always say, the more efficient you make the envelope, the more difficult it becomes to justify the additional cost of high efficiency equipment. And finally, having a 3rd party specification makes it possible to get competitive apples-to-apples bids. I couldn't agree more, David. Usually, a professional HVAC design will seave money, not just in the equipment sizing, but in the duct design. Then it would be your job to make sure it is installed and commission correctly by the HVAC contractor. Most people pay attention on the Manual J only... but it really is a whole system process. Armando makes a good point about duct design. Although proper design adds some cost in terms of design time, the duct system itself needn't cost more. In high performance homes, there's no need to extend supplies out to the perimeter, and in many homes, the return duct system can be eliminated entirely (ductless return), which not only reduces fan energy, but is easier to balance if done properly. In basement homes, a ductless return can also mitigate moisture issues by continuously mixing the air between levels. Isolated basements are a bad idea. I like to remind builders and HVAC Contractors that the Version 3 checklists are complicated for a reason: Heating and cooling homes with a forced air distribution system is inefficient in and of itself. The laundry list of checklist items and design requirements are a valid attempt at getting forced air systems to operate efficiently. Move over to a hydronic radiant system or minisplits and the checklists are a breeze. That isn't a coincidence, it's by design. "In high performance homes, there's no need to extend supplies out to the perimeter"
I'd venture to say there are few homes of any modern construction that require perimeter mounted registers. It's a waste of ductwork, and by eliminating this practice ductwork could be easier to implement into conditioned space. @Ryan: That's a pretty bold statement. With all due respect, hydronic radiant is no less complex, and in fact requires even higher skill level than forced air, making it hard to find qualified contractors in many markets. Competitive pricing can't occur in those circumstances. As for being more efficient (in terms of operating costs), that depends on many factors. For example, if there's no access to natural gas, a heat pump may cost less to operate. But more importantly, in markets with a significant cooling and latent load, forced air is by far the least expensive solution. Even in dry climates, radiant cooling is a niche market with very few experienced practitioners. Moreover, high efficiency chillers are not cheap. If builders were willing to spend the kind of money that hydronic radiant typically costs, ES might never have needed to impose those checklists in the first place. And I can assure you, the lack of questions on hydronic source equipment isn't by design. A topic for another day. As for mini-splits, ducted systems have the same issues as conventional ducted systems. Ductless mini-splits are indeed less complex to design & install, but are limited in application. I use them where they make sense. ...there are few homes of any modern construction that require perimeter mounted registers. David, I definitely over simplified my statement for sake of posting on a blog. That said, I'm talking about efficiency of distribution not cost. The "perfect" house in my head has a super shell and utilizes DHP's and HRV's. I think we'll see more of this as we move towards Net Zero. Ryan, I would argue that any inherent difference in distribution efficiency is only relevant to the extent that it impacts operating cost. I would also argue that the challenges in getting forced air systems right have nothing to do with inherent distribution system (in)efficiencies, and everything to do with system design and installation practice, especially the distribution system. But at least we agree on the direction that HVAC will take as we make the shell ore efficient. I am a builder of hurricane resistant homes and that means tight. So now I must also be an energy efficient builder as well. I am an avid supporter of the HVAC industry, but I am frustrated by the lag in the industry in providing smaller systems that are proper for the high efficiency homes that I build. The industry needs to take what has been learned from the mini-split manufacturers and implement those technologies with conventional systems. Specifically the ability to simplify the duct systems by matching multiple air-handlers (zoning) onto single compressor units. This will reduce or eliminate the need for chases and long trunks, thus freeing up valuable floor space. We need small compact 1/2 ton air handlers for bed/bath combinations for instance. My homes spec out at 1000-1400 sf per ton. I need a multi-zone 1 1/2 to 2 ton system. The new ducted mini splits are perfect for this application except I am still limited to an air-to-air system. What about geo-thermal? As we move away from building silly stick-framed houses that are vulnerable to every disaster known to mankind, the need for smaller high efficient systems will grow. It is time for the HVAC industry to pull their collective heads out of their..... "sand piles" and deliver what is needed. @Thomas, I totally agree that US companies have some catching up to do. Whenever the application allows, those small high-SEER single zone ductless mini-splits are by far the best bang for the buck in residential HVAC. But mini-split manufacturers need to pay attention to the unique requirements of the US high performance market. In particular, small ducted AHU's like the Mitsubishi SEZ and Fujitsu ARU don't have enough fan power to supply more than a couple of rooms, and the smallest ductless heads have way too much output at minimum capacity for bedrooms. You can possibly get away with one or two ductless heads in cold-climate homes built to Passive House standards, but not so in a cooling dominated climate. As for geo, there are indeed water source mini-split systems on the market. But instead of routing refrigerant lines to each air handler, it's done with hot and chilled water, and that takes special skills not often found in residential practice. Contact me privately if you want help specifying such a system. That said, the more efficient you build the shell, the harder it is to justify the most efficient hvac equipment. Thomas Dugan good luck on getting people to downsize off the 500sqft per ton standard, much less go smaller than 1.5 tons. Rarely will you see anything smaller than 3 tons installed in a single family home as the primary cooling system. Once you get cooling loads down below 2 tons, the payback time for geo makes them impractical for most climates.